When you are new to cannabis as medicine, or you are considering cannabis medicine for your children, it’s hard to know how to find a pediatric care that integrates with cannabis medicine. This is a high level list of questions you can ask, and common pitfalls to avoid to help you get started. High-quality physicians with spotless records and are in good standing with the American Medical Association and with their State Medical Board. Do they understand Cannabis Therapeutics and the Science Behind the Plant? Are they willing to learn?Physicians that know and understand the eCS and the science behind the plant is a must when integrating cannabis care into your child’s care plan. Not all physicians know and understand cannabis. They were not taught in medical school. Now that they know of its existence and then still refuse to know and understand it then, it’s time to look for a new physician who does. Do they follow State Medical Board guidelines? Doing it the right way matters when it comes to medical cannabis -remember that this is not only a medical process but a legal one as well – make sure your physician follows the medical board guidelines and state law so that your approval is legitimate and defensible in court. Do they offer an Attorney Protection Program? Should you need legal advice or representation, will they arrange a free consultation or referral with a reputable and experienced medical cannabis attorney within your state? If not, have one on your team. Despite the fact that it may be legal in your state, cannabis is still illegal at the Federal level due to its Schedule 1 Classification. Be prepared. Is your physician there for you? Once your child becomes an approved patient, are they still there to answer your questions, assist with problems or concerns with your child’s use of medical cannabis? Continuation of care and a solid medical team throughout the healing process is pertinent to the success of your child’s recovery. 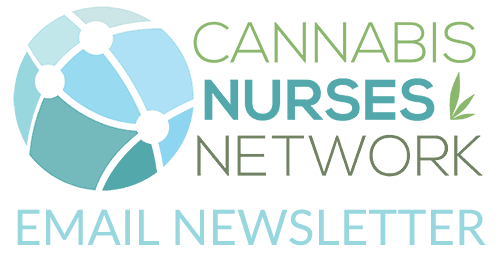 Utilize Nurses who are trained in Cannabis Therapeutics: Adding a Nurse to your care plan team may be useful in navigating the many obstacles that parents face while treating with cannabis therapeutics. 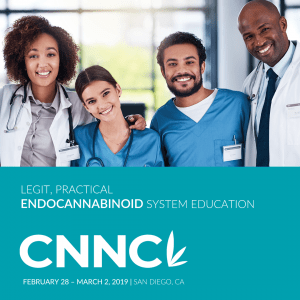 Cannabis Nursing is a developing field and not a subcategory of nursing within the American Nurses Association Credentialing Center, however, nurses can inform and educate patients and direct you to the answers you seek based on their nursing process. (Note: Guidelines by the National Institutes of Health (NIH) on what nurses can or cannot do when it pertains to cannabis are currently being formulated as we speak and will hopefully be released End of 2017). State Laws require that a doctor’s office is owned by a doctor – not a layperson just trying to make money. Make sure the medical practice that you get your medical cannabis letter/card from is physician-owned or in compliance with your state laws registry program. The doctor’s office should have a fictitious name permit registered with the Medical Board. paperwork you get from them is not valid. There is no such thing as a “grows license” under state medical marijuana laws. Approved patients and caregivers should be allowed to grow what is medically necessary for the patient’s medical condition according to their state statutes. For instance, in California Physicians are NOT ALLOWED to give a plant number. Some doctors are charging up to $300 for a grow license that supposedly allows you to grow 99 plants – this is not legal nor will it protect you if you are charged with a marijuana crime. Know and understand your state laws! Be aware that Skype evaluations are not valid per the Medical Board. If it is your first time visiting a particular doctor’s office, an in-person evaluation is required. in assuring that your health information remains private.